The Aquascape Ecosystem and The How To Video eliminate the guesswork behind building a Water Feature. Water gardening is the fastest growing trend in landscaping today. The reasons are simple. No other type of landscaping affects all the sences as much as moving water. 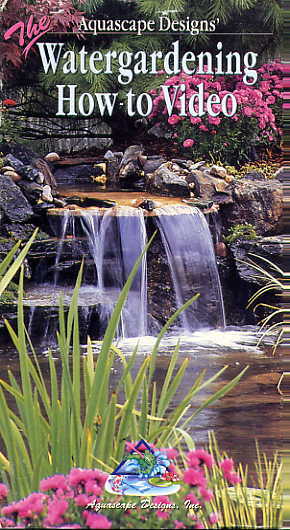 When you create a water garden, you establish a tranquil place to relax. Wildlife also benefit as birds come to bathe and animals drink. Building a beautiful, low maintainence water feature shouldn't be a chore. The Aquascape Ecosystem Pro Pond Kits come complete with everything you need to create your own backyard paradise. This How-To Video shows you, first hand, the step by step process you need to follow when going from idea to flowing water.